Carousel Designs makes fabulous crib bedding and nursery decor. Keep reading to find out how you could win a crib blanket from one of their gorgeous collections! "Carousel Designs, a contemporary and trend-setting leader in the baby bedding industry for more than 22 years, debuts eight new crib bedding sets. Carousel Designs offers one of the broadest collections of quality baby bedding in the industry with more than 100 pre-designed crib bedding sets available in addition to custom baby bedding. The new crib bedding sets feature fun, mod designs with owls and starlings; classic toile and paisley designs; gender neutral designs in unique color combinations and in 100 percent certified organic fabrics; and - for that special baby girl’s room - two pink and taupe sets, one in an elegant and trendy leopard design, the other, a must-have for a nursery fit for a princess. In addition to the debut of the new crib bedding sets, Carousel Designs recently launched their Nursery Designer® Version 3.0 interactive tool allowing for customers to experience a more accurate visualization of their nursery. 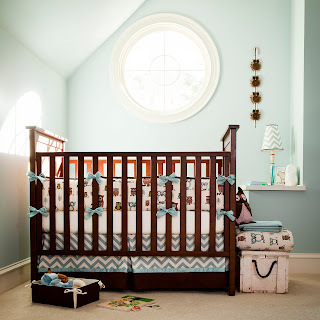 Carousel Designs is the only baby bedding company that allows parents to design their own crib bedding, see it online, and choose other elements of the nursery to preview the room before making a purchase. The Carousel Designs collection includes mini/portable crib, cradle, toddler, twin and full/queen bedding and coordinating nursery décor including lighting, furniture, rugs, musical mobiles, pillows, diaper stackers, wall art, draperies, rocking chair pads and valances. 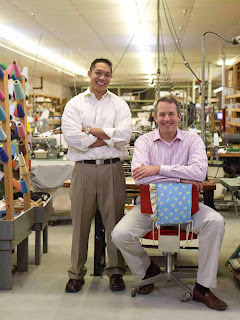 Carousel Designs baby bedding products are proudly made in the USA." Buy It: Find these one of a kind designs for your nursery at Carousel Designs! They have gorgeous girl crib bedding, boy crib bedding, and custom crib bedding that you will fall in love with! Win It: Carousel Designs has generously offered one ABCD Diaries reader a crib blanket of their choice! To enter, follow our blog via GFC AND "Like" Carousel Designs on Facebook, then comment below. I follow via GFC & like Carousel Designs on Facebook. I follow on GFC (coliebear) and I liked them on facebook (nicole lenz). I'm following your blog via GFC AND "Like" Carousel Designs on Facebook. I follow you via GFC. I like Carousel Designs on Facebook. I like Carousel Designs on FB! I follow via GFC and I like Carousel Designs on Facebook. I'm a follower via GFC. I "like" Carousel Designs on Facebook. I subscribed to RSS feeds for the posts. 2. I subscribed to RSS feeds for the posts. I entered the Whammies wetbag Giveaway. I entered the Everybody's cape giveaway. Entered the Calabasa Candy giveaway. Entered the Goat Milk Stuff giveaway. Follow you on GFC and liked Carousel Designs. Entered the EcoArt bag giveaway. I entered your Bamboobino Crib Sheets Giveaway.